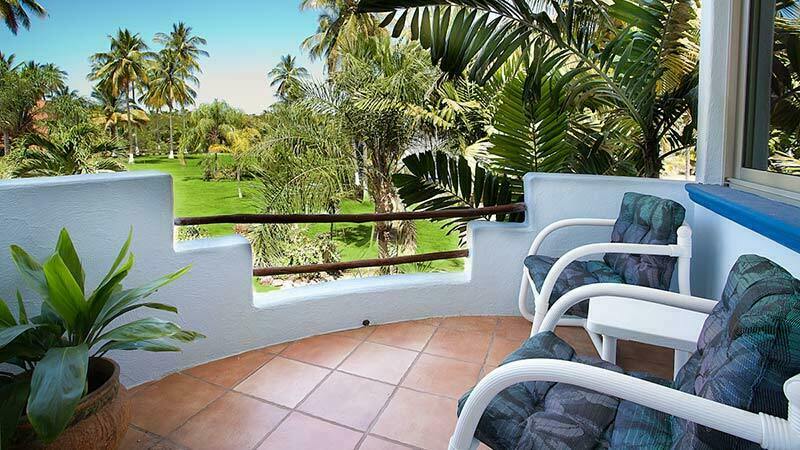 Take in a birds-eye view of sea, sun and surf from majestic Villa Las Palmas. 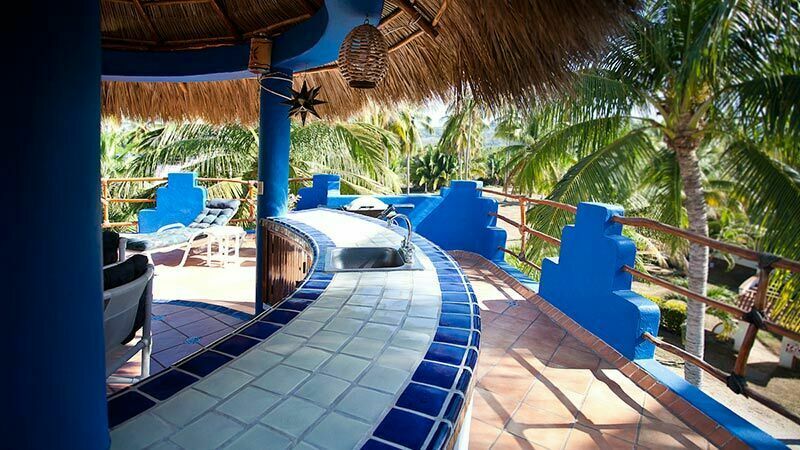 This “House of Palms” boasts two King bedrooms, numerous private balconies, and a rooftop deck that’s out of this world. 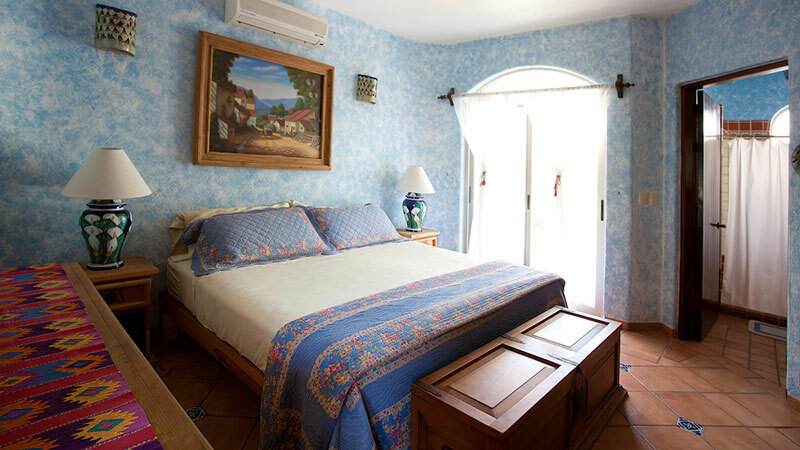 Las Palmas’ roomy open-layout works wonderfully for relaxing and entertaining alike. A tile-topped bar and fully functioning kitchen sit opposite a comfortable living area. The indoor expanse flows out to a cozy balcony, with views of the pool, and beyond. 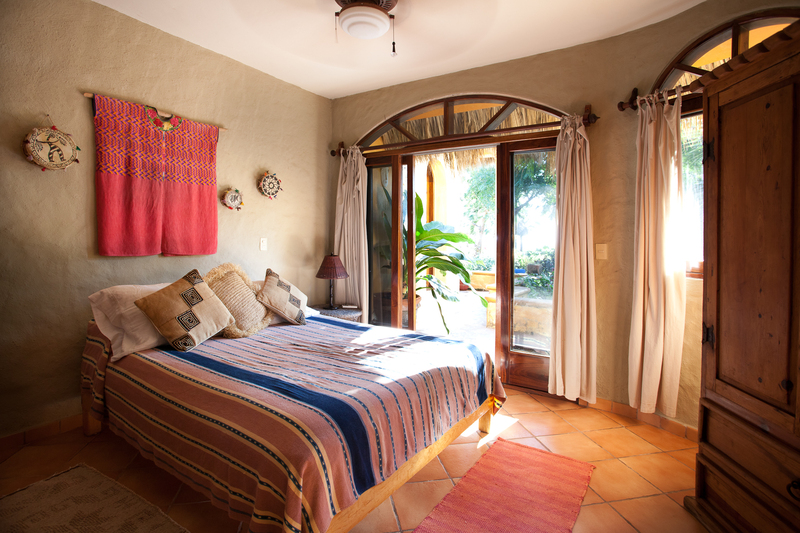 Both bedrooms come complete with private bath and terrace. A trundle bed in the living area provides a great option for an added guest or child. 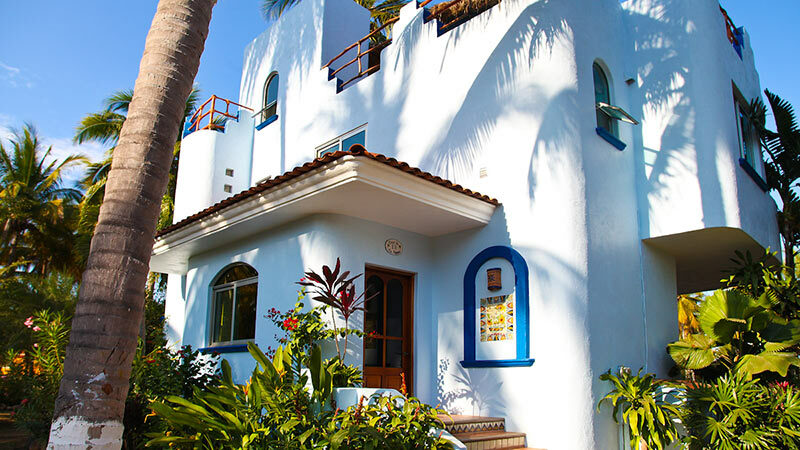 The beauty of Las Palmas is accentuated with an eclectic collection of local art and finishes. 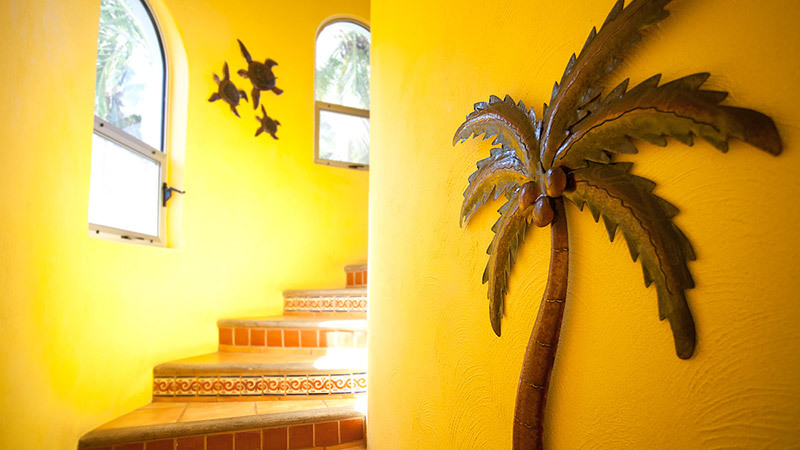 Authentic tile, stucco and Huanacaxtle woodwork are present throughout. For the real gem of this villa, head up to the roof. Amongst the palms is a large rooftop deck that’s sure to be a place you’ll enjoy. 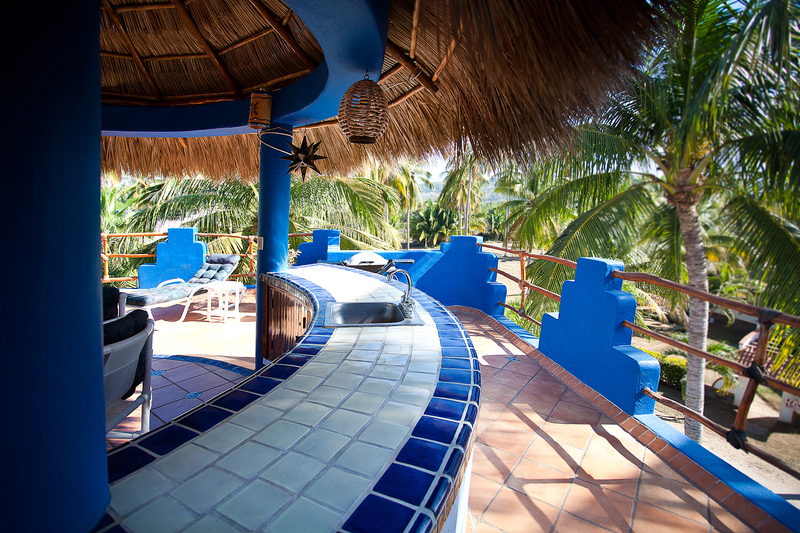 A thatched-roof palapa covers an outdoor dining area and bar. A number of comfortable lounge chairs provide a place to kick back, relax and soak up some sun. 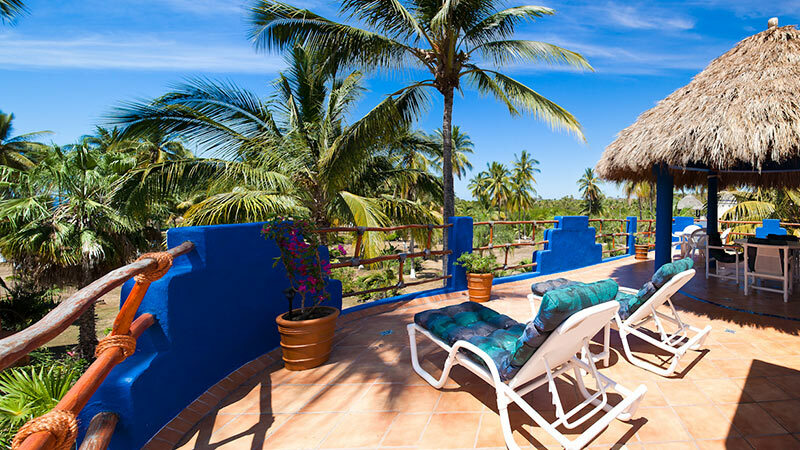 Grab a yoga mat, a book, or maybe just a margarita. Your rooftop hideaway is the perfect place to share meals, conversations, and cocktails. 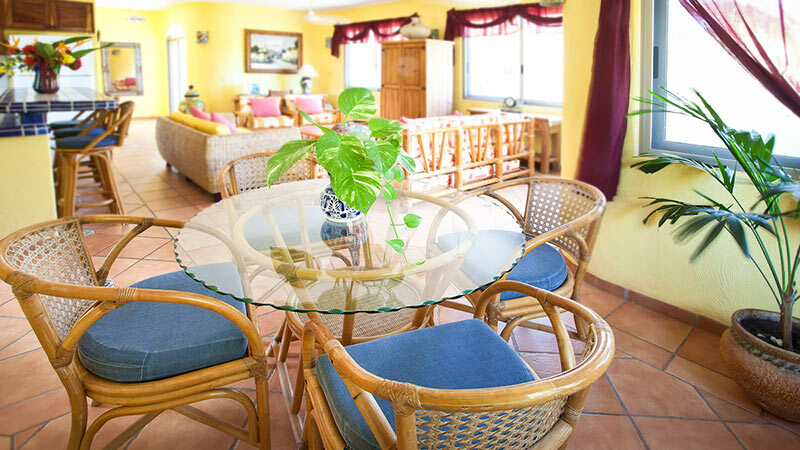 Las Palmas is a true villa in every sense of the term. 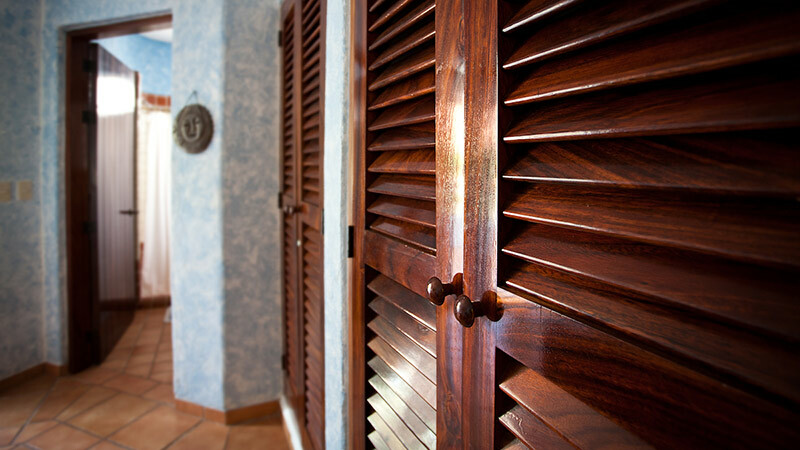 Its laidback ambience and remarkably airy quarters bring peace of mind and freedom to your much-needed escape.